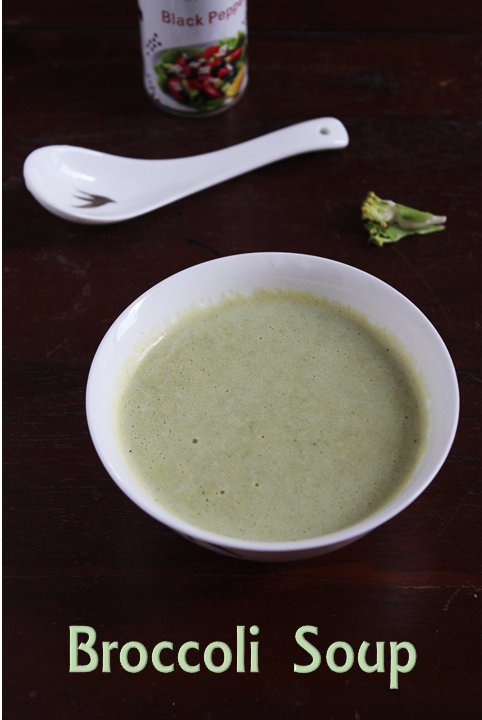 I have not tried many dishes with Broccoli earlier but because of its nutritive value i am trying out a few recipes now.Recently i made this Broccoli soup and it seems to be quiet simple, tasty and nutricious.One must try this soup!!!! 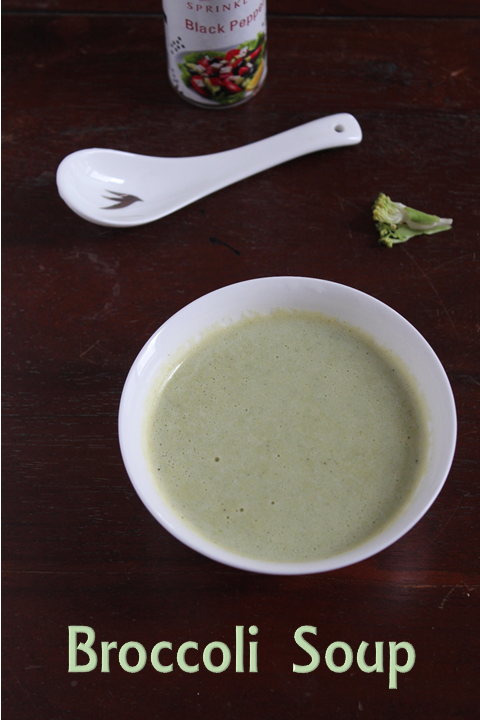 1.Seperate the broccoli florests and blanch them (immerse them in hot water for ten minutes) this is to remove any worms in the florests. 5.Add water,milk and the florests and allow them to boil. 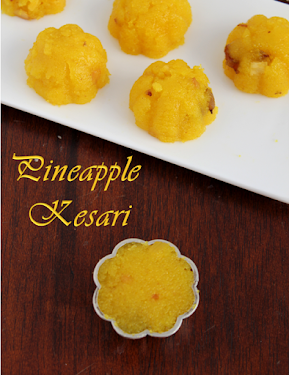 7.Cool and puree it in a blender. 8.Pour it in a saucepan and heat.add pepper powder and salt.Just before it satarts to boil switch off the stove. Enjoy the soup when it is hot! You can seve the soup with some garlic bread. Adjust the salt,pepper according to your taste. You can add a boiled potato instead of milk for the thickness. Milk is not mentioned in the ingredients list. How much milk would be required for this recipe?